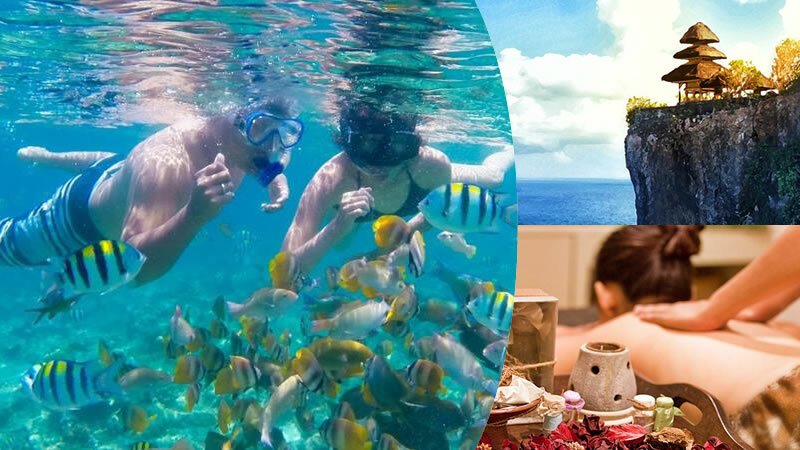 It is one of the most favorite Bali water sports package at Tanjung Benoa beach which will be combined with an amazing Bali sightseeing tour by visiting famous beach at Southern Peninsula, Uluwatu Cliff Temple, Spa and Dinner. 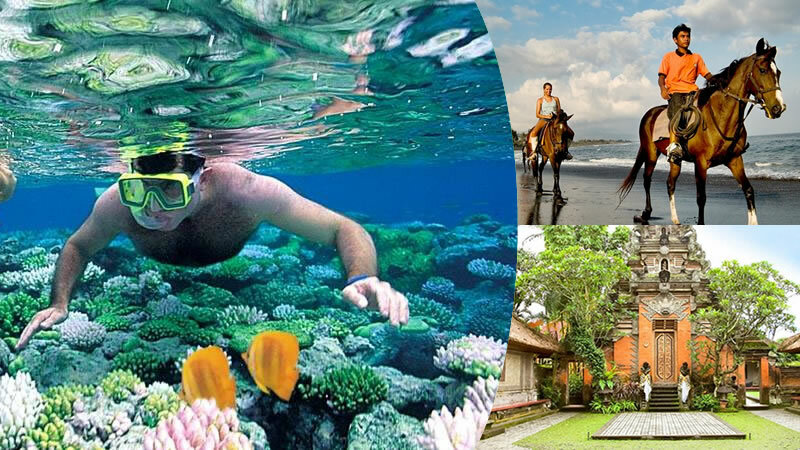 Get ready for an amazing Bali snorkeling with Ubud Tour all-in-one super deal price package. 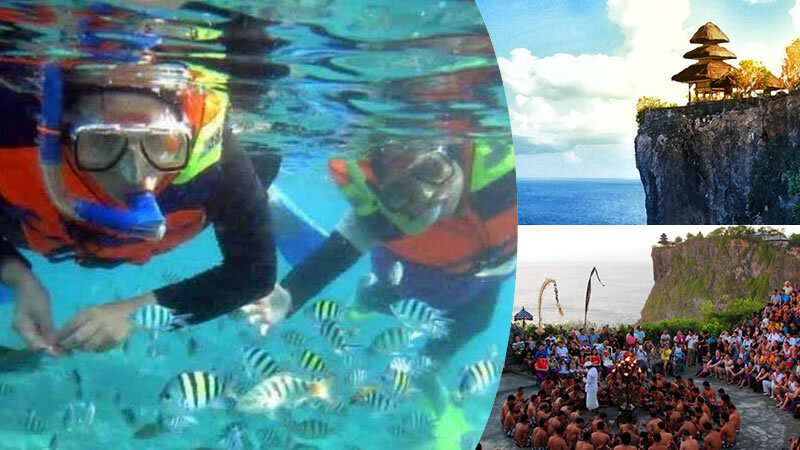 Snorkeling at Tanjung Benoa will be combined with sightseeing tour by visiting Ubud Arts villages and enjoy the magical show of Kecak & fire dance. 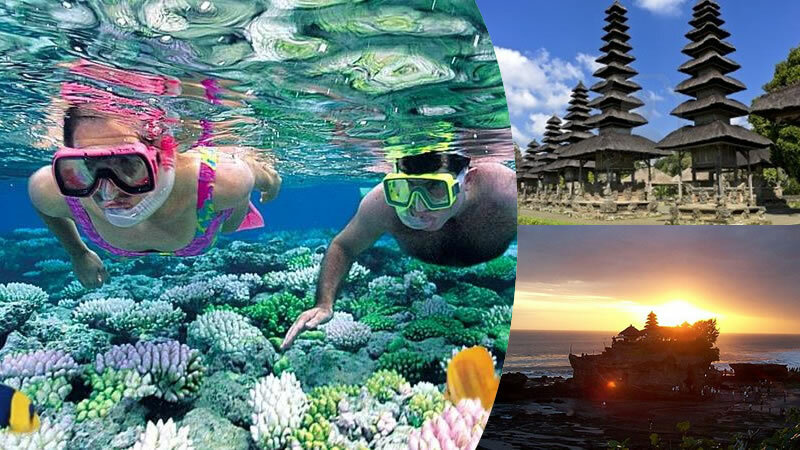 It is one of the most favorite Bali snorkeling at Tanjung Benoa beach which will be combined with an amazing Bali sightseeing tour by visiting Ubud and also stop at Tanah Lot Temple for enjoy marvelous sunset during sunny day. 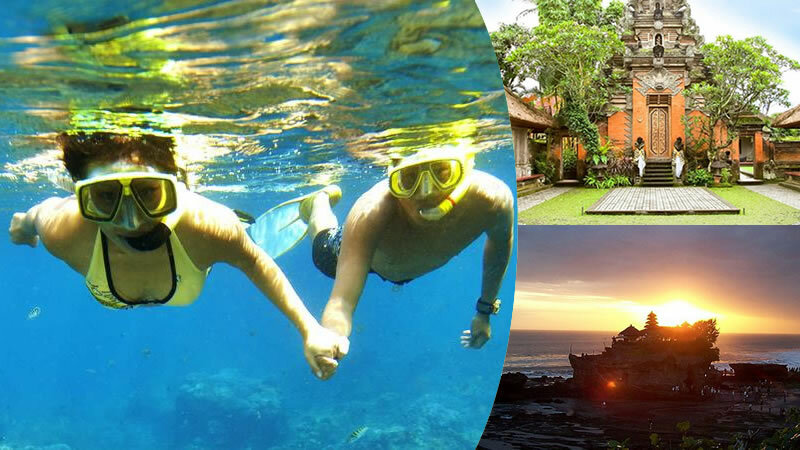 It is simple but one of the great Bali water sports package at Tanjung Benoa beach which will be combined with a wonderful Bali sightseeing trip by visiting Taman Ayun and stop at Tanah Lot Temple for enjoy famous Sunset during sunny day. 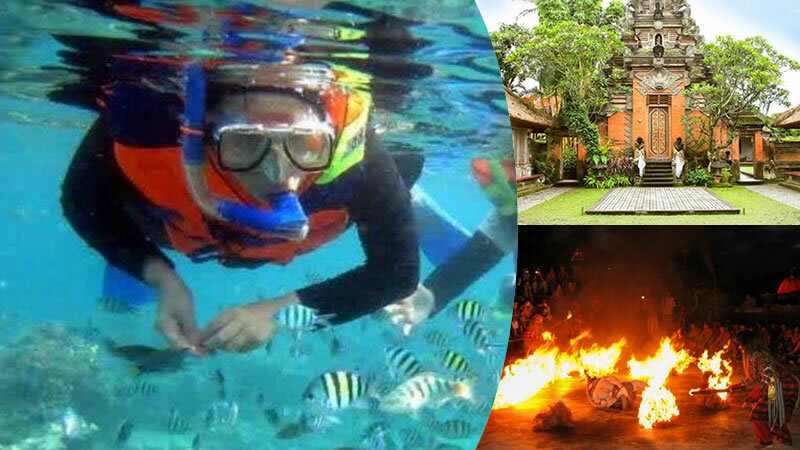 Bali Snorkeling with Volcano Bali tour is superb Bali water sports package which will be combined with an outstanding Bali sightseeing trip by visiting Kintamani with Batur Volcano & Crater lake view, Tegalalang rice terrace, and Ubud. 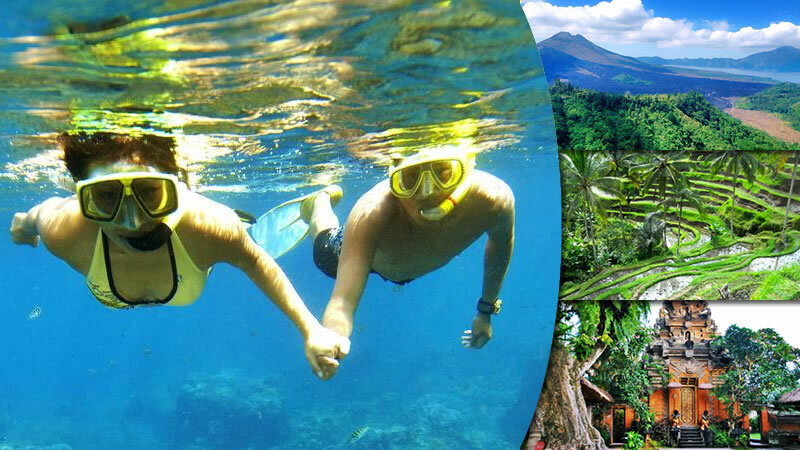 It is a fantastic combination of Bali snorkeling with sightseeing tour all-in-one super deal price package. Visit a beautiful beach at Southern Peninsula, Uluwatu Cliff Temple, then enjoy the magical show of Kecak & fire dance. Interesting Bali water sports package. 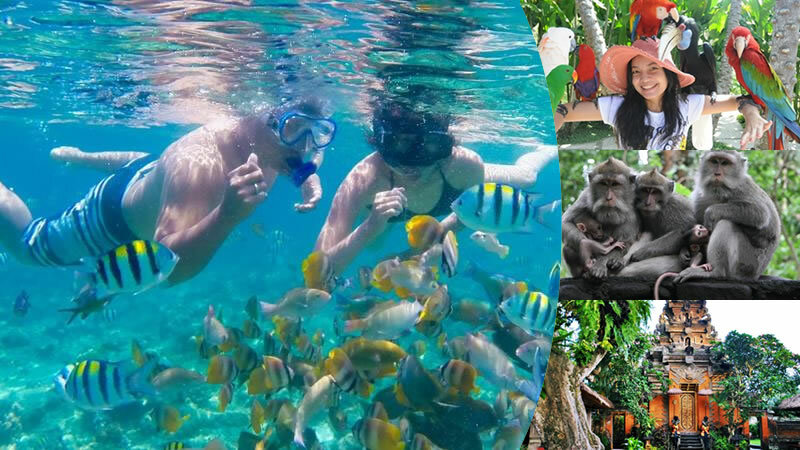 Snorkeling activity at Tanjung Benoa beach, continued with Bali sightseeing trip by visiting Bali Bird Park, Ubud monkey forest, go to Ubud center for visiting famous Ubud Palace & Ubud Arts market. Fantastic Bali water sport tour package. 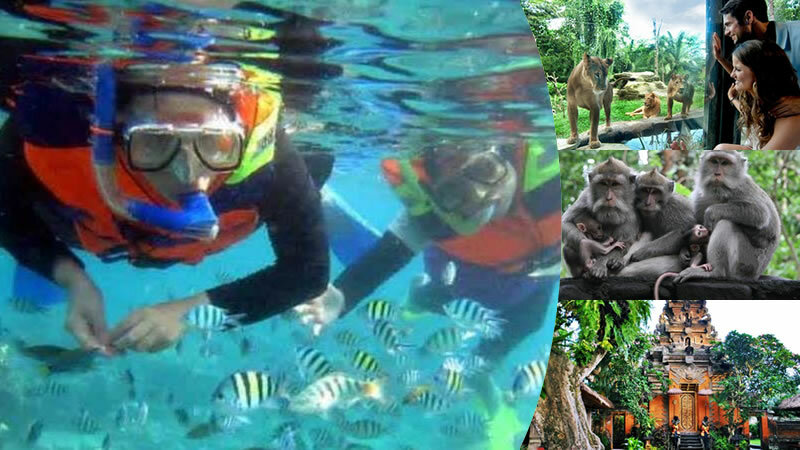 Snorkeling activity at Tanjung Benoa beach, continue with a wonderful Bali sightseeing trip by visiting Bali Zoo at Sukawati, Ubud monkey forest, and also go to Ubud center. Need more interesting package? 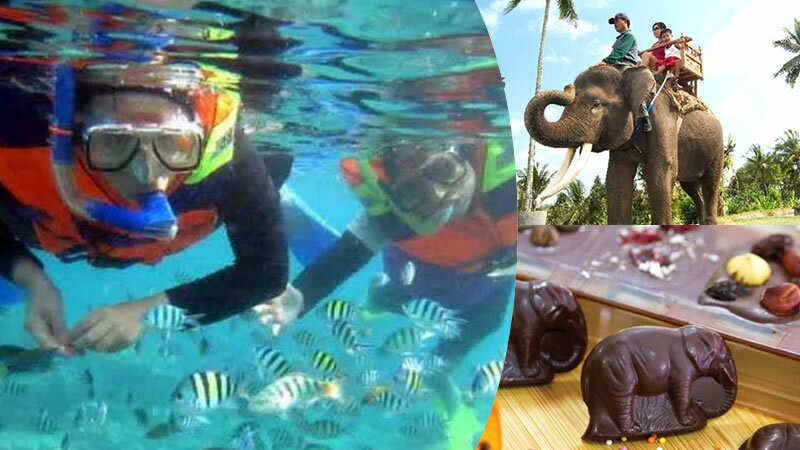 First, doing snorkeling activity at Tanjung Benoa beach, and second join an incredible elephant riding at Bali Elephant Camp for 30 minutes. Then visit Tanah Lot temple for amazing sunset. It is also interesting package. First, doing excellent snorkeling activity at Tanjung Benoa beach, and second join an incredible Bali elephant ride for 30 minutes. Next, you will be invited to join on Pod Chocolate tour. It is also amazing Bali water sports package. First, doing cool snorkeling activity at Tanjung Benoa beach, and second join a nice Bali horse riding for 60 minutes at Saba Bay. Next, you will be invited to visit Ubud art village. 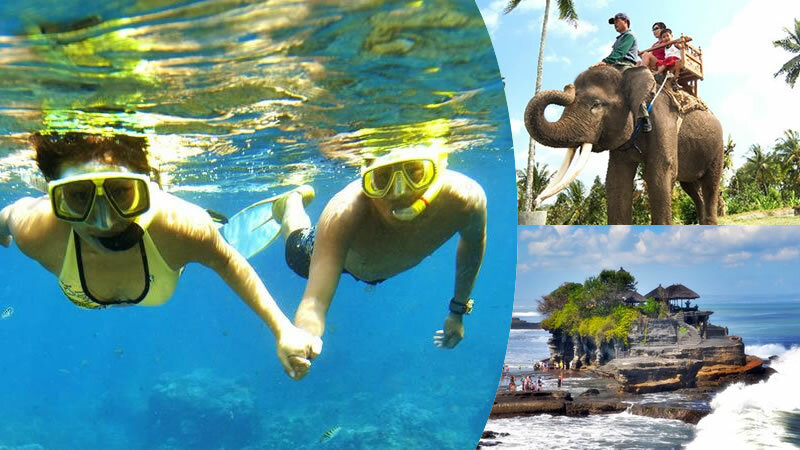 It is one of the most interesting and favorite Bali adventure package. 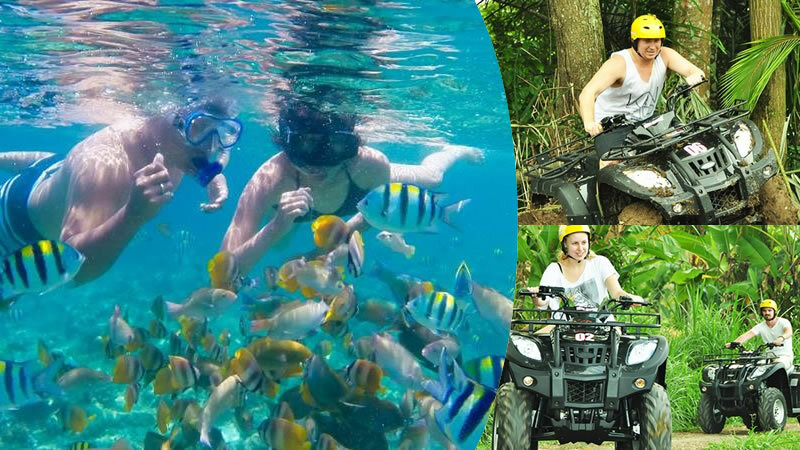 First, doing snorkeling activity at Tanjung Benoa beach, and second you will be able experience one of the best of Bali’s beautiful nature village with Quad ATV.